To those who check my blog from time to time, I apologize for the lack of posts. 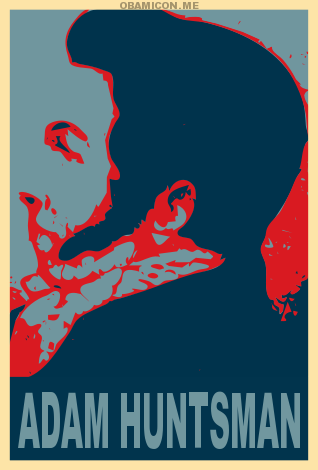 I’ve been hard at work on my latest book project on the life and political career of Adam Huntsman. So I’ve been writing, but it’s work you won’t see for a few more months. The ETA for this book is June or July 2009. For those of you interested in Tennessee history, antebellum politics, and David Crockett, I think you’ll find it to be an interesting account of one minor but colorful politician during the Age of Jackson. "Take Home A Package of Tennessee Pride!" This has nothing to do with writing, but I suppose it has a little something to do with Tennessee history. Sort of. I found this old commercial for Tennessee Pride Sausage I wanted to share. When I was a kid, breakfast on Saturday mornings consisted of biscuits and gravy, scrambled eggs, and Tennessee Pride Sausage. (If I was at Grandma’s, sometimes there was chocolate gravy!) It’s the only brand my mother ever used and I’ve carried on the tradition in my own household. Once I brought home another brand for a change of pace, but my wife and children didn’t care for it. They only wanted Tennessee Pride. I’m sure it’s a tradition in other Southern households too. Everyone has seen the Obama icon image that was used throughout the late unpleasantness (i.e. the 2008 Presidential election). Now there’s a website that enables anyone to create their own icon. Using this technology, I thought I would pay homage to the focus of all my writing energies of late.